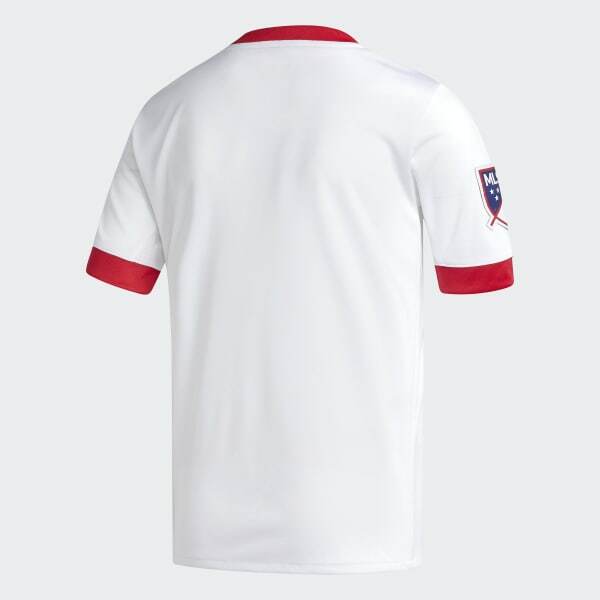 A jersey modeled after the Red Bulls' home uniform. This junior boys' soccer jersey is styled after the ones the Red Bulls wear as they split opposing defenses with through-ball after through-ball on their home turf. Made of lightweight recycled polyester, it features a New York Red Bulls badge on the chest to show the world who runs things.